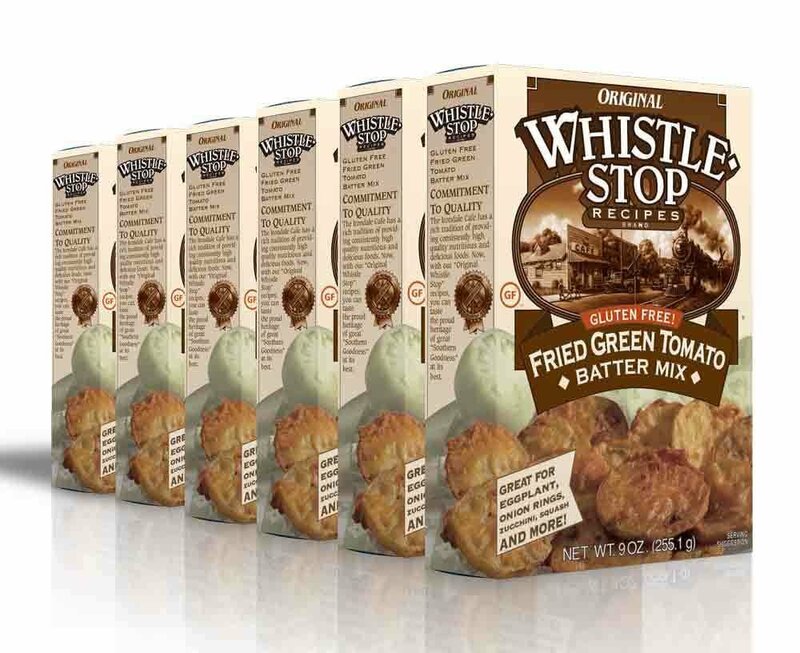 The WhistleStop Cafe Brand Gluten-Free Fried Green Tomato Batter Mix has soared in popularity due to its great taste, ease of use, and its versatility. It has a delicate blend that coats well, enhances, yet allows the flavor of the ­vegetables being cooked to come through. Keep plenty of this Batter Mix on hand. You never know when family and friends may drop by and you'll want to serve up some down home and delicious Fried Green Tomatoes from the WhistleStop Cafe.